Overall Length (less forks): 22' 6"
Drive Axle to Carriage Front: 6' 1"
Max Forward Reach: 41' 6"
Max Lift Height: 56' 2"
Max Reach at Max Lift Height: 8' 8"
Practical Placement Height: 54' 4"
Max Reach Below Grade w/ Standard Carriage: 3' 4"
To Outside of Tires: 12' 10"
To Inside of Tires: 6' 0"
Frame Leveling at Boom Angle less than 40 Deg. Frame Leveling at Boom Angle more than 40 Deg. 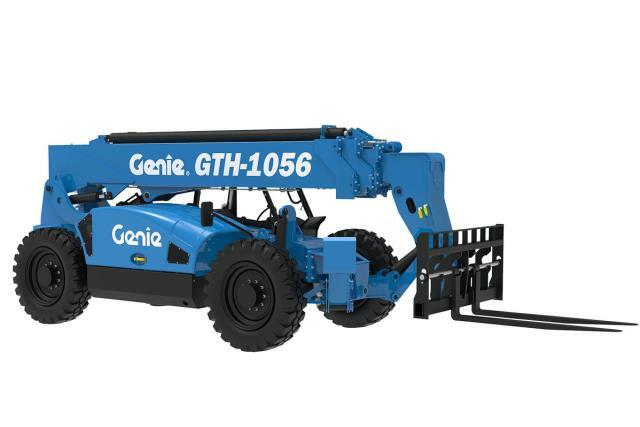 Rent a Telehandler for your high lifts on the construction site!